It was a true pleasure working with Hip & Hitched! We could not have asked for a better experience. Everyone was very responsive to emails, they answered all of my (many!) questions and made the whole process very easy for us. At the wedding reception, DJ TD kept everyone out on the dance floor and was really able to read the crowd and play the right song, at the right time! When we were planning, they suggested the light up dance floor, which I am so glad we had! So many people have told us how much they loved the DJ and music and how much fun they had dancing. I loved working with Hip & Hitched and Tim, and I have already recommended Hip & Hitched to friends for their weddings and give them two thumbs up! Hip & Hitched is fantastic! We recently hosted a friend’s wedding reception at our home and had Topher as our DJ. Having a DJ was somewhat of a last-minute addition to the plans, and the H&H team was so helpful and accommodating through the entire planning process. At the event, our Dj was a master at timing the type and volume of music as we progressed through cocktails, dinner, toasts, cake cutting, and then of course dancing. He played every song we requested and completely read the crowd to get everyone on the dance floor. Super professional, talented, kind, helpful, and fun! I would hire Hip & Hitched again in a heartbeat. Hip and Hitched was so wonderful for our wedding! Not only did they do an awesome job as the DJ at our reception, but he coordinated a string trio for our ceremony as well as a jazz trio for our cocktail hour. Everything went so smoothly, and the whole team was an absolute pleasure to work with throughout the entire process. We had a lot of people tell us how much they enjoyed all the music. We absolutely would recommend Hip and Hitched for your wedding! If you’re contemplating hiring Hip & HItched for your wedding – stop thinking about it and JUST DO IT! Tim was the absolute best. From the moment I reached out to him about our December wedding, he was the easiest, nicest and most responsive vendor I worked with. He was genuinely excited about our wedding and offered amazing advice throughout the entire process. He met with me and my fiance during the planning process so we could get to know one another and discuss what was most important on our wedding day. If I emailed him to ask him something or make a change, he got back to me immediately every single time. Music was a HUGE part of our wedding night and Tim KILLED it. He played every song we wanted and even threw in a couple that we didn’t ask for but would have had we thought of it. The dance floor was jam-packed the entire night. Best DJ ever!!! Oh and they did our Video as well, makes me cry every time I see it. H&H are truly a one stop shop!! The Hip & Hitched crew DJed our recent wedding and it was absolutely perfect. All along, our plan was to have a short ceremony, no speeches, and get as much time on the dance floor as we could. I met with Tim to talk about specific songs we wanted played and it was like hanging out with a friend. He put together an amazing DJ set (and trust me, you’re getting a professional DJ set and not any kind of “just press play” situation). The lights. The set up. The MC skills. All perfect and stress-free. If this sounds like what you’re looking for, then there no choice. Just book them! Hip & Hitched is the best wedding DJ you could hire. I wanted the kind of reception where the dance floor is packed and people sing and dance all night long. DJ TD made it happen! He was super knowledgeable and professional, not to mention an all-around great guy. He went above and beyond to make the music selection reflect what we wanted, and mixed together our diverse styles in a way that was absolutely nothing short of a musical journey. On the night of our event, he even invited the bride over to the DJ booth to spin some mad beats. SO AWESOME, HIGHLY RECOMMEND! Hip & Hitched delivered on our vision of our wedding celebration. We met with them and explained our vision of a “non traditional” wedding celebration, provided him some guidance, but really let him do his job. H&H knocked it out of the park and turned our wedding into everything we had hoped and dreamed it would be! He had everyone on the dance floor the entire night with our guests not wanting the night to end! Thank You! I would most definitely recommend Hip & Hitched to anyone planning their perfect party! Thanks guys ! Super organized. We had a blast. Thank you so much!! Hip & Hitched rocked our wedding in Decatur. They worked that room perfectly, and made it into a great dance party. The last couple of songs/mixes were an exclamation point on our big day. Super friendly, clear communicator, and punctual – H&H was one of the best vendors we worked with for our wedding. Hire Them! You’ll be glad you did. Hip and Hitched played the perfect music for our wedding. We only had to provide the general theme and they were able to pick up the exact vibe we wanted for our special day. They also played guests requests and helped keep things moving along at the pace we wanted. I would recommend these guys to anyone. We worked with H&H for our wedding at the end of May and are so happy that we did. From the very first call to the day of the wedding, Tim & team were extremely responsive and professional which made us feel totally comfortable that we were in the right hands. My husband and I both have pretty particular taste in music and having a dance party that reflected that was really important to us. That said, we’re not professional musicians/DJs in any way and knew that we needed someone we could totally hand the reins to once they had a feel for our style. Tim did exactly that. He played a perfect mix of our individual song choices and other songs that fit that style but would also keep the party going. He kept the dance floor full for a solid 3 hours and people came up to be throughout the night commenting on what a great DJ we had. Thank you Tim & Hip & Hitched !! Hip & Hitched was awesome!!! They made the wedding a full out dance party! Played exactly what was requested beforehand in the perfect order to get the party moving 🙂 So professional too! I would definitely recommend them to all of my friends! My wife and I hired Hip & Hitched and thoroughly enjoyed having Tim DJ our wedding. We couldn’t have asked for a more amazing event and the music was an absolute perfect compliment to the setting. We researched long and hard for something that would represent what we wanted and that would be possible since our wedding was a destination wedding. From start to finish Tim was on point. For weeks leading up to the event we threw ideas back and forth from what we were visualizing to what he had in mind. Tim went above and beyond to make sure he had a clear idea of what we were looking for. To our delight he not only put all of our ideas together seamlessly but threw some delightful surprises our way that we didn’t even think of! A class act all around!! If you’re getting married I’d highly recommend Hip & Hitched for your wedding! Thanks Tim!!!! Our wedding reception was a huge success because of one person: TOPHER! During the reception we had a noise complaint that Topher handled so beautifully! At the threat of our reception falling dead only an hour in, Topher managed to get the land owner on the dance floor breaking it down to some dirty bass!!! There are not enough words to describe how happy we are that Tim & Topher took the leap to take us on! Topher was our man the night of the wedding, and he absolutely MADE the night! We are huge music lovers so pre-wedding we gave him a pretty hefty list of “must-play”s and not only did he hit all of them but he filled the reception with amazing songs of every genre and had us and all of guests dancing all night…I mean EVERYONE! From my 80 year old grandmother to our 5 year old son! He not only took care of the reception but provided our music for the ceremony as well. He and Tim were incredibly accommodating to the fact that we had an outdoor venue not typically set up for big events…in fact, their excitement made us even more thrilled and anxious after doing our walk-through at the venue! Without any doubt whatsoever, Hip & Hitched is worth every dime you will send their way. We had a rather modest wedding and splurged on these guys, and we would unquestionably do it all over again 1000 times over! Topher is an amazing DJ and to top it off he puts out magnificent energy while he spins, bringing not only great beats but also big love to the dance floor. We are SO very grateful!!! Here’s a link to our wedding blog with pictures of Topher and the dance floor! Oh, and we came back after the fact and requested a copy of the wedding playlist because it was so amazing! Save yourself the time and do it in advance…you’re going to want it! We hired Tim as our DJ at the wedding, and this was a great decision. He was SO responsive throughout the planning process, even meeting with us to get to know us before the big day. We were able to trust him to play music that would keep our guests dancing all night long. He is so nice and friendly, and really made the party so much fun! The lighting was also an amazing addition to the event and made the room look AMAZING. I definitely would recommend Hip & Hitched for your big day! Can’t go wrong! Felix & Tiff. Urban Wedding at Mason Mure ATL. Tim is awesome. He played at our wedding and we received lots of compliments on the music. Very easy going and a great vendor to work with. Listened to our music recommendations and kept the wedding flowing. The mixes were great and he kept the dance floor alive. I would definitely recommend Tim for a wedding or party. I cannot tell you how important music is to an event. We had an engagement party where we went with a friend of a friend and the experience was less than favorable. After playing dance songs and getting the party started to immediately making it awkward with slow songs and being asked that night if my grandpa was the DJ and I wanted to make sure the wedding was different. I found DJ Tim through a google search and found he was featured in a Creative Loafing article and had a ton of positive reviews. When we first met he was so warm and friendly-almost like a family member I haven’t seen in a while. He gave wonderful recommendations and asked all of the right questions to get the vibe we were looking for with our wedding reception. Tim did such an amazing job at our party-he succeeded in making the best soundtrack for our most favorite night ever. He paid attention to the dance floor and fed off of the guests, kept the music flowing and gave us the best experience. The commends and feedback we got from our guests were the complete opposite of the engagement party. We had a great time, our guests had a great time and we didn’t want the night to end. I HIGHLY recommend Tim and Hip & Hitched to anyone looking for a fantastic event. THANK YOU!! Tim of Hip & Hitched is top-notch and outstanding in his field! We got married Memorial Day weekend and there were a lot of things that didn’t go off as planned. Tim was on it from the beginning and music was never one of our worries. He was flexible with the timeline and even worked in a last minute tribute with my dad who was my best man. Tim was also great at reading the crowd and knew how to get them going. The reception was so much fun we even decided to keep it going passed the time we had planned. One of our guests even sang his own praises for Tim completely unsolicited saying, “You’re the best DJ in America! !” I have to believe he meant it because he kept repeating it…in any event, I completely agree! Tim actually loves his job and it shows. Anyone can play songs but that doesn’t necessarily make them a great DJ. So if you want someone who will be a part of your wedding as well as making it fun and memorable then hire Hip & Hitched. It will be a sound investment! Tim was/is fantastic! We hired him for our February wedding. We told him we wanted the dance floor packed all night long and he delivered for us. He was courteous and professional in all of our conversations and was a master of the music at the reception. Music was one of the most important elements for me (being a musician myself) so he also kindly played my playlists for the ceremony & cocktail hour without any hesitation. It was truly the best party of my life and I’m grateful Tim made it come to life! Thanks Tim! Got married earlier this month. 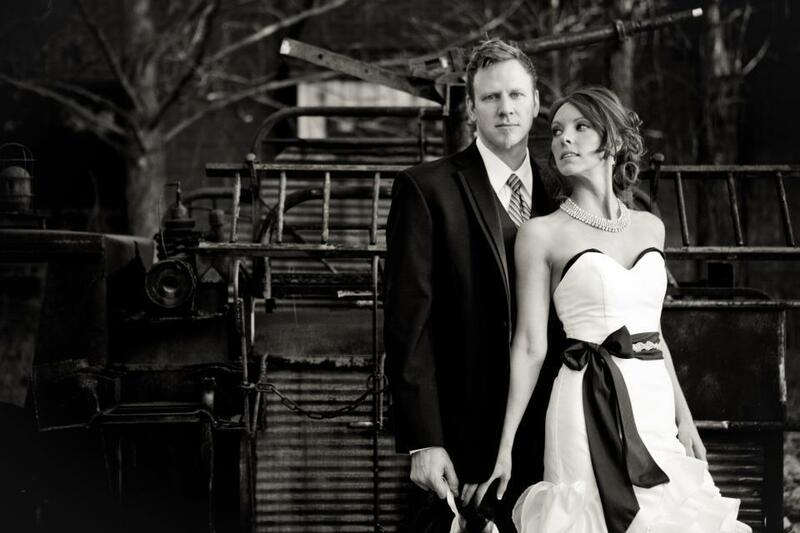 We hired Hip & Hitched after seeing their capabilities at several other events. Even though I know several other DJs personally, Hip & Hitched was my number one choice. They were thorough in helping us figure out what we wanted. And, EVERYONE at our wedding had an amazing time on the dance floor. Thanks Tim! Tim is amazing! A year later and I’m still convinced the music was the best part of the wedding. He was professional, friendly, open-minded and knew endlessly about music of all genres and was able to create unique mash-ups that made dancing irresistible to even the stodgiest of guests. He was great at reading the temperature of the room and somehow made both my mother-in-law and myself happy. I cannot recommend him highly enough. Your not going to find a better DJ and a nicer guy in Atlanta than Tim DeGroot (Dj tD). He and the guys with Hip and Hitched really knocked it out of the park, and I can’t say enough great things about the job they did. They know music and they know weddings. As the groom, I had few responsibilities in planning our wedding, but I had to make sure I did them well. Tim gave me, and more importantly my wife the “feel good feeling”, and set our minds at ease. He really was interested in what type of set we wanted, and made sure to get our input so that he could create the right mood and atmosphere. Throughout the night, he was able to transition from down tempo and lounge music for the cocktail hour, to rocking the dance floor harder than I think any other DJ could have. He really listened to us and made sure we got what we wanted, and filled in all the gaps in between. These guys are extremely knowledgable and personable, and the execution of the music was on point. TIM Was the man ! We supplied him with a lot of music and he played it all perfectly in time. No instructions needed He dj’ed the ceremony as well and it was well timed and at a perfect volume. He played a perfect range of music for everyone (including our 80+ seniors and 10 and under kids). He was on the mic just the right amount and interacted a lot with the crowd. We upgraded to the turbo sound and lighting rig and it was well worth it. The last two hours we lowered the lights and everyone got down. He dealt with requests properly and was cordial with people in his personal zone We HIGHLY recommend Hip and Hitched for anyones wedding ! I wish we could get married again ! If we did we’d pick Hip & Hitched ! Finding a good DJ for our wedding was so important to us – when we spotted Tim at a friends wedding we made the decision then and there – he reads the crowd, he played all of our favorites, the dance floor was packed all night. I can personally attest to having danced the soles out of my wedding shoes. I wouldn’t hesitate to recommend Tim again, he was a total pleasure to work with. Jordon & Michelle 6/3/2013 Farm wedding ATL Goat Fart Art center. Tim and Hip & Hitched delivered, hands down, an A+ performance at my wedding. My wife and I couldn’t be happier about it. We hired them because we wanted a DJ component, so that we could play all the songs we wanted in full effect, without a cheesy cover band watering down the quality. But we also wanted some live music to add some energy and style. Hip & Hitched was PERFECT for this. In addition to playing all the songs we wanted, Tim has an amazing catalog of music and a great ear for mashing up good party tunes; the band fit seamlessly into this setup by enhancing the songs but not overpowering them. And Hanz did a great job of being “MC” where needed, always making sure the entire dance floor was locked into the party. Professionally, Tim and Hip & Hitched were top notch. Tim graciously spent countless telephone hours with me in the months leading up to the event going over our event time line and song selections. And he took it upon his own to coordinate with other vendors and service providers to make sure that the entertainment vision we had for the event got completely realized. Amidst all the pre-wedding planning and anxieties, Tim was a great relief. He gave me confidence that everything would happen perfectly, and he and the band delivered fully on their promise. I’d be happy to offer more details to anyone interested in having them at their wedding or party – I’m sure Tim can help connect us, if interested. My wife and I are dreaming up scenarios where we could have them play for us and our friends again. Christopher Taylor (Dj Topher) of Hip & Hitched DJed our wedding in Decatur. He worked that room perfectly, and made it into a great dance party. The last couple of songs/mixes were an exclamation point on our big day. Super friendly, clear communicator, and punctual – Christopher was one of the best vendors we worked with for our wedding. Hire him! You’ll be glad you did. Ryan Johnson and Arin / NYE at Mason Mure / masonmurer. a new years eve wedding. Thanks for the perfect mix and sound system for our wedding. AMAZING! Everything went off incredibly well, everyone was raving about the party mix and light show! Thanks Tim! vendor of the week shout-out to Hip & Hitched!! !